Will you be visiting South Australia? Adelaide is the premium destination to stay and this apartment will make your stay memorable. 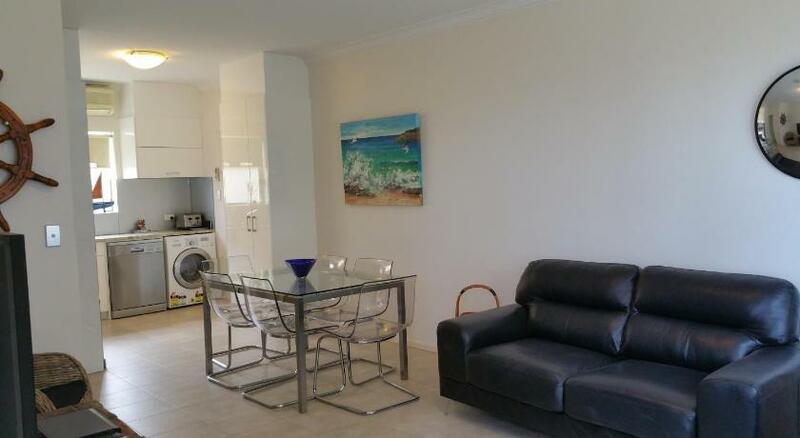 Apartment Acaill Accommodation is economical accommodation that is the perfect for your accommodation needs. With a beautiful beachfront location, Acaill Accommodation is a self-contained, 2-bedroom ground floor apartment just 15 minsâ€™ stroll from the centre of Glenelg. Guests can soak in the ocean views from the patio, or unwind in the living area which offers a flat-screen Television. Acaill Apartment is positioned a brief 15-min stroll from the nightlife, shopping and dining options along Jetty Road. Adelaide Airport is a 15-min drive from the property. Adelaide city centre is a 20-min drive away. After a day of beach activities, guests can relax in the air-conditioned apartment. Renovated in August 2015, the modern kitchen includes stainless steel appliances, dishwasher and golden granite benchtops. There is a newly renovate restroom with a cast iron bath tub, wall hung toilet, stroll-in shower and fully tiled surfaces. A washing machine, ironing facilities, linen and towels are provided. Free all day bicycle hire is available from West Beach Surf Life Saving Club. This property has been online since Jan 2, 2015.